Every year we start designing our latest collection by doing a lot of research. We look at what teams are wearing on game days and at competition, what our customers are designing, and the fashion trends on the runway. Despite the creative and diverse looks out there, there's always a few clear trends that emerge! While it was hard to neglect football in Minnesota this past weekend (Skol Vikes, NFC North Champs!! ), but we'll admit we were waaaayy more excited about UDA College nationals! 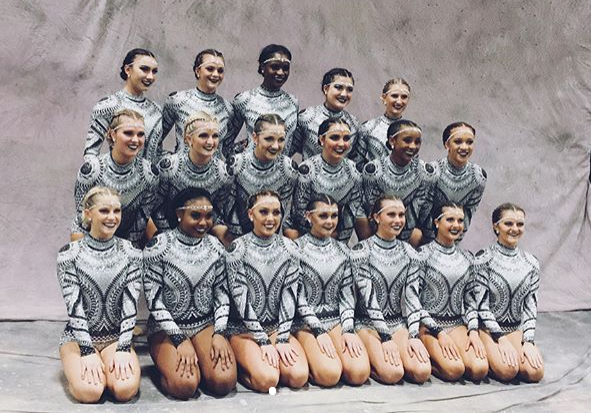 It's one of the most captivating competitions in the season, and always a source of endless inspiration for costume trends. Floral Mesh Leotard, Mesh Leotard, Tribal Mesh Leotard, and Kiri Leotard. It's that time of year - School is back in session, game days are starting to pick up again and all we can think about are this year's upcoming competition costumes! As we head into our busy season (a.k.a. your competition season! ), we are overwhelmed with the amazing costume designs and inspiration that our creative customers and designers come up with! It truly is inspiring seeing all these beautiful costumes go out the door and onto the competition floor. High Kick dance routines are known for their quick movements, sharp lines, and formation changes. So, how do you accentuate this choreography to take your routine to the next level? Color change! Accentuate strong movements and add visual interest by adding a pop of color. 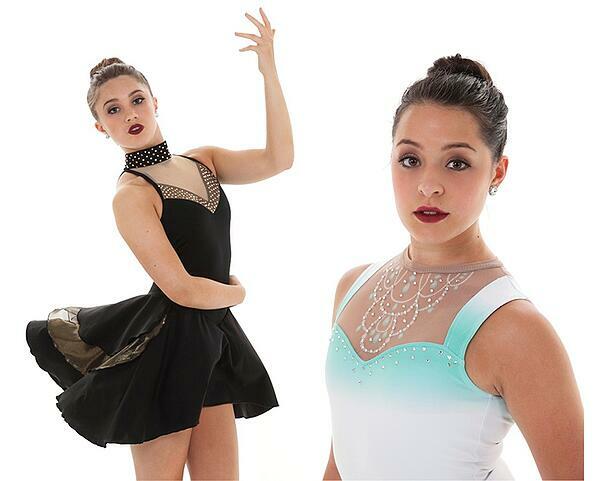 Check out 5 unique ways to incorporate color change into your High Kick dance costume this year! When it comes to dresses, skaters know how to perfect a sophisticated and elegant look. So it's no surprise that when a skating trend takes off, it's usually classy and not likely to immediately fade out of style. As you start planning for the upcoming season, here's a look back at some of our favorite trends that we predict will have serious staying power! The look of the game day cheer uniform is changing! The classic cheer look - which will always hold a strong torch - is starting to look a little faded next to the glitz and glam of innovative all star looks. So what does this mean for new trends for your fall 2017 game day looks? Check out our 10 favorite trends for the modern cheer uniforms, that create the perfect mix of classic and innovation!